The number of violations of the ceasefire on Donbas decreased to nine incidents on Friday, July 14, according to the press center of the Anti-Terrorist Operation (ATO) headquarters. However, Russia's hybrid military forces continued using the types of weapons banned under the Minsk peace deal on Donbas. Read alsoPro-Russian militants breach ceasefire 29 times in past 24 hours – ATO HQIn particular, the enemy lobbed six 120mm and sixteen 82mm shells into areas near the town of Krasnohorivka where Ukrainian troops are stationed in the Mariupol sector in Donetsk region at about 06:00 local time on Friday morning. Grenade launchers were used to fire on Ukraine's Shyrokyne, Pavlopil, and Hnutove. The village of Staryi Aidar came under mortar fire twice. At midnight, a 120mm mortar was used to shell the village of Novotoshkivske. The village of Luhanske was a hot spot in the Donetsk sector – Russian-backed fighters used cannons of infantry fighting vehicles, grenade launchers and small arms to fire on the village. 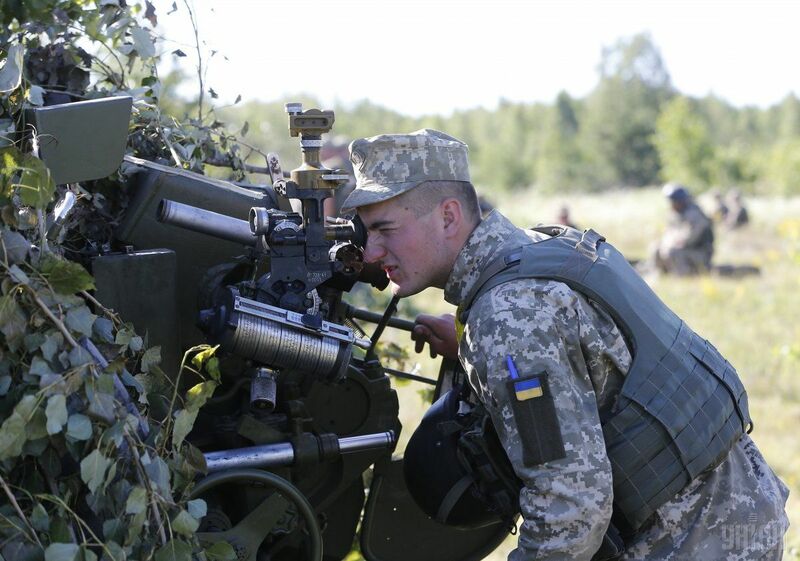 Ukrainian positions at Butivka coal mine came under fire from large-caliber machine guns.